It is all too common for people to misunderstand the difference between bactericidal versus bacteriostatic antibiotics. 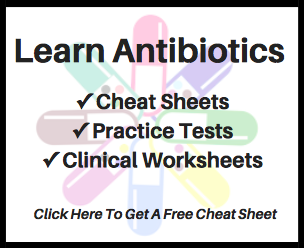 To assist trainees and current practitioners alike, a leading infectious diseases physician reviews the basics and recent clinical data on bactericidal versus bacteriostatic antibiotics. While it seems intuitive that antibiotics that more rapidly kill bacteria should be more clinically effective, a recent systematic review of randomized controlled trials does not support this assertion. Furthermore, there are a variety of misunderstandings around the meaning of bactericidal and bacteriostatic. When asked what bacteriostatic means, many providers will respond that bacteriostatic agents slow or inhibit the growth of bacteria but do not kill them, as compared to bactericidal antibiotics, which actively kill. Although that interpretation is what the names seem to imply, that interpretation is wrong. Two definitions are important to clarify here. First, the minimum inhibitory concentration (MIC) is defined as the concentration that inhibits visible bacterial growth at 24 hours of growth in specific media, at a specific temperature, and at a specific carbon dioxide concentration. Second, the minimum bactericidal concentration (MBC) is the concentration of a drug that results in a 1,000-fold reduction in bacterial density at 24 hours of growth in the same specific conditions. The formal definition of a bactericidal antibiotic is one for which the ratio of MBC to MIC is ≤ 4, while a bacteriostatic agent has an MBC to MIC ratio of > 4. Thus, an antibiotic that achieves a >1,000-fold reduction in bacterial density but does so at a concentration that is 8-fold above the MIC of the drug is considered bacteriostatic, despite the fact that it clearly kills the bacteria. Similarly, an antibiotic that achieves a 10-fold, or even a 500-fold, reduction in bacterial density at a concentration of 2- to 4-fold above the MIC is characterized as bacteriostatic, even though it demonstrates impressive killing ability. All antibiotics that are considered bacteriostatic do kill bacteria in vitro, just at concentrations that are farther above their MICs than bactericidal agents. These purely laboratory definitions are somewhat arbitrary. Why should it be that the MBC requires a 1,000-fold reduction in bacterial density as opposed to 100-, 500-, 5,000- or even a 10,000-fold reduction? Why 24 hours? Why must the MBC not be more than 4-fold above the MIC as opposed to only 2-fold, or for that matter 16-fold or 24-fold? Ultimately, it is reasonable to standardize in vitro comparisons of rapidity of kill by antimicrobial agents if there is believed to be some value in knowing this characteristic of an agent. But that does not mean that this current standardized method is predictive of what happens during a clinical infection. Bacteriostatic and bactericidal are relative in vitro terms not based on linkage to any predictive ability of the outcome of infections in vivo. Our analysis of published, randomized controlled trials demonstrate that bactericidal agents are not intrinsically superior in efficacy to bacteriostatic agents. The majority of trials across a variety of infections found no difference in efficacy between bacteriostatic versus bactericidal agents. Of seven trials which did find a statistically significant difference in clinical outcomes, six found the bacteriostatic agent was superior in efficacy. The only trial that found the bactericidal agent superior in efficacy utilized a pharmacologically suboptimal dose of the static agent, such that a repeat trial using double the dose of the static agent found no difference in efficacy between the static and cidal agents. Thus, randomized controlled trials do not support the superiority of bactericidal agents. Rather, the available data suggests that other drug characteristics, such as optimal dosing, pharmacokinetics, and tissue penetration, may be more important drivers of clinical efficacy than intrinsic rate of bacterial killing in vitro. In summary, there is extensive evidence that bactericidal and bacteriostatic agents are similar in efficacy when treating clinical infections, including skin and soft tissue infections, pneumonia, non-endocarditis bloodstream infections, intra-abdominal infections, and genital infections. The large majority of studies comparing bacteriostatic and bactericidal agents head-to-head for the treatment of invasive bacterial infections have found no difference in clinical outcomes or mortality. When differences have been found in such studies, they have usually found the bacteriostatic agent to be superior and more cost-effective than the bactericidal agent. When bacteriostatic agents have been found inferior, the explanation appears to be more likely inadequate dosing and/or achievable levels at the site of infection, and not rapidity of kill of the microbe. It is time to abandon the notion that bactericidal antibiotic agents are intrinsically more effective than bacteriostatic agents. Wald-Dickler N, Holtom P, Spellberg B. Busting the myth of “static vs cidal”: a systematic literature review. Clinical Infectious Diseases. Accepted for publication December 2017.